Photo by: Vojtěch VlkThere have been notable cases worldwide of those who try to imitate or otherwise misuse well-known brands. Likewise, in this country the number of disputes concerning trademarks is on the rise. · Invention: a new, as yet unpublished solution of a technical problem can be patented. A condition for patenting an invention is its direct technical utility. This sets it apart from a discovery, which is of a theoretical nature. For example, the existence of radioactivity is a discovery, while the schematic for a nuclear power plant is an invention. A patent is valid for 20 years after the date of approval, and only in the territory where the patent was applied for. An exception is a patent awarded in a European Union state, which is automatically valid throughout the EU. An international patent can also be applied for according to the international Patent Cooperation Treaty. · Utility design: unlike an invention, this protects the specific arrangement of given technical equipment. This is why it is sometimes designated as a “small patent”. It is valid for four years, and it can be extended twice for three-year periods. Roughly forty countries provide protection for utility designs. · Industrial model: just another designation for a design. A single application can cover up to twenty partial solutions of external appearance. These solutions are new in terms of both form and function. Protection is valid for five years following the application, and can be extended twice by the same period. · Typography of integrated circuits: a way to protect the method of connecting components in a single integrated circuit. The law and international treaties protect series of “mutually interconnected depictions that model in three dimensions the permanent arrangement of layers that create an integrated circuit,” or chip. This depiction is entered into a register of topographies. · Works as per copyright law: These are unique creative works of art and science in the form of literature, music, sculpture, photography, architecture, cartography – and computer programs. They do not need to be registered; they are automatically protected as of the moment of their creation for the creator’s lifespan and seventy years thereafter. IN THE MID-90S the entrepreneur Marek Němec went into the trademarks “business” in grand style, thus irreversibly writing himself into the history of trademarks in the Czech Republic. This brother of then-minister Igor Němec gradually applied for the registration of about a hundred trademarks that were well known and used around the world. For example Toyota, which Němec registered as a trademark for sewing machines. He then demanded high compensation from the importers of the Toyota brand. However, the court ruled that this activity was speculative; it refused to recognize any compensation for Němec, and the trademark was expunged from the register of trademarks. This case was far from unique. “The counterfeiting or theft of successful brands is encountered everywhere in the world, but in this country it became excessive after the revolution,” says attorney Michal Růžička of Rott, Růžička & Guttman, one of the leading Czech patent firms. “There is very low awareness of the protection of intellectual property here,” Růžička observes. Disputes over former state enterprises’ trademark rights are the specific heritage of the era of state-owned companies, branch plants, and detached workplaces. “In the past Czech attitudes towards trademarks were lax, in keeping with the regime. Companies were told what to do by the state and there was no competition, so why bother registering a trademark? A trademark makes sense only in a competitive environment, where its value rises,” explains Zuzana de Korver, the head of the adversarial proceedings department at the Industrial Property Office (ÚPV). After state-owned firms were broken down into several divisions and subsequently privatized, it wasn’t always clear who would benefit from the trademark windfall. 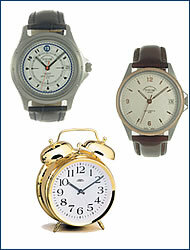 This is the case with the traditional manufacturer of Prim watches or Apetito processed cheeses. Neither dispute has been settled yet. Sometimes a trademark is more valuable than the rest of the company. 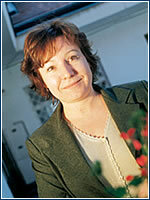 According to patent agent Dana Lukajová of the law and patent offices of Vyskočil, Krošlák and Co., sometimes the value of a trademark reaches 90% of a company’s value. However, determining the value of a trademark in the Czech Republic is an assignment for specialized experts, whose official estimates can differ significantly from the book value. Rankings of brand power provide a general picture, but they don’t measure the value of brands, just the level of awareness among the public. Names like Čedok, ETA, Mattoni, Opavia, Škoda, and Vitana appear regularly at the top of domestic brand rankings, which are compiled on the basis of public research conducted by, for example, AISA. In the US, where ten of the world’s most valuable trademarks are concentrated, respected rankings with their estimated values are published regularly. Marlboro ranks first, with a value of USD 39 billion, followed by Coca-Cola, at USD 33 billion. The internet and the protection of domains associated therewith is a separate matter. The internet’s development outpaced the development of laws that should regulate the internet jungle. At first the courts didn’t know what to do with cases when people registered trademarks or even unregistered but well established, and thus protected names of products or services as domain names. “No particular state-guaranteed rights to designation pertained to domain names. 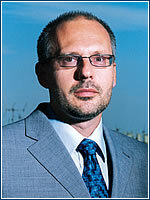 That’s because the internet works on a private basis and the principle of first-come, first-served,” Růžička comments. However, attorneys who deal with this issue claim that it’s not necessary to create any special legislation for the internet. They say that in commerce the existing provisions of the Commercial Code on unfair competition and the criminal law on violation of trademark rights are sufficient. According to attorney Jiří Janeba of the epravo.cz web site, an unauthorized user of a domain name, depending on the specific situation, commits misleading designation of goods and services or causes the danger of confusion. Along with grocery and pharmaceutical firms, producers of sporting goods and clothing are among the most frequent victims of trademark misuse. Petr Kožuch, the brand protection manager for the Czech branch of Adidas, says, “In 2002 alone about 120,000 fake Adidas products were seized in the Czech Republic, which represents theoretical damage on the order of CZK 100 million.” Not surprisingly, the problem in the Czech Republic is merely representative of a greater worldwide phenomenon. According to European Commissioner Frits Bolkestein, trade in falsified goods accounts for five to seven percent of international trade. Bolkestein estimates the damages thus caused in the EU at two billion euros a year. For this reason the European Commission is tightening legislation and giving greater authority to customs officials in seizing goods. The growing importance that is being placed on trademarks is manifest in the Czech Republic by amendments making the criminal law stricter. While earlier violators of rights to trademarks, trade names, or protected designations of provenance faced no more than six months in jail, a recent amendment raised the maximum sentence to two years. Moreover, the threat of prosecution now faces not only the person who puts falsely marked goods into circulation, but the importer or exporter as well. Vigilance regarding such infringements has also increased. “There are world-wide monitoring services that track whether anyone is violating their clients’ trademark rights,” Růžička explains, adding that in the Czech Republic such services are carried out by specialized law firms and patent agents who also work on trademarks. If you were unable to protect your trademark and have to take the matter to court, you’ll need patience and money. Růžička estimates the usual duration of court proceedings at about five years, and the situation in other countries isn’t said to be much better. “As far as costs go, (in the Czech Republic) the company pays tens of thousands of crowns on such lawsuits. Czech firms don’t defend their brands abroad very strongly, as it’s too expensive for them. They do so only when the situation is very grave, as is the case with Budějovický Budvar,” Růžička concludes. THE TALE OF Belvedere, the company founded in Prague at the beginning of the 1990s by the Frenchman Jean-Pierre Hottinger, a wine and spirit trader in central and eastern Europe, began in 1993. At that time Belvedere agreed with the Polish company Podlaska Wytwórnia Wódek “Polmos”, with which it cooperated in the production and distribution of brandy-type drinks, to launch a new luxury product, Chopin vodka. Based on Belvedere’s instructions, the bottle was created in the style of a perfume flask with a window, frosting, and calligraphy. “One day we presented the idea in Polmos, and the next day the director registered it with the patent office,” says Hottinger. 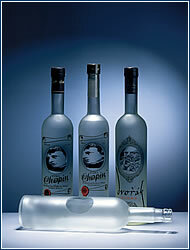 Polmos began producing Chopin vodka, and Belvedere distributed it in Poland, Europe, and overseas. In the Czech Republic, Hottinger closed a contract with spirit maker Kord Ptáčník, and produced and sold Dvořák vodka intended for the Czech Republic in bottles of the same design. 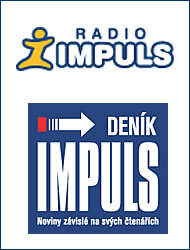 In 1994 he registered that trademark with the Industrial Property Office (ÚPV) in Prague. Both vodkas were enormously successful, with hundreds of thousands of bottles produced each year. According to Hottinger, Polmos decided to cut Belvedere out of the game and created counterfeit bottles in which it started distributing Chopin vodka itself. Thus began a war between the two companies. Court cases were conducted in Germany, Poland, France, and the US. Belvedere won all of them except for the one in the US. However, in the Czech Republic the dispute took on unpleasant overtones. In 1998 Polmos took Belvedere to court for violating the law on trademark protection and unfair competition. Its main argument was the registration of the trademarks on the bottles with the Polish patent office. Based on a proposal by Polmos’s legal representatives, ÚPV also registered the trademark in the Czech Republic. They claimed that “because Belvedere sells Dvořák vodka in the Czech Republic, Polmos cannot penetrate the market with Chopin vodka. But they never even shipped any Chopin vodka to the Czech Republic,” says Radim Marušák, an attorney with Hottinger. Accordingly, the Prague Municipal Court issued a preliminary injunction ordering a halt in the production and distribution of Dvořák vodka. Belvedere objected to this decision and demanded that Polmos brands be expunged. According to Marušák, not only were these brands not used in the CR, but the condition of distinguishability was also not met. Two years later the trademarks were expunged. 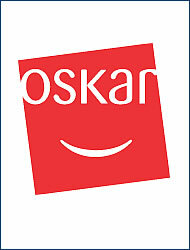 Click on www.oskar.cz and you wind up at the web site of the well-known mobile phone operator. But three years of complicated negotiations preceded this result. In January 2000, when the mobile phone operator Český Mobil made public its new Oskar trademark for its mobile communications services, the oskar.cz domain name had already been registered for nearly three years by a company of the same name that traded in computer technology. Český Mobil was aware of this and claimed that it had reached a preliminary agreement with the original owner of the domain name (i.e., Oskar, s.r.o.) to the effect that the operator would be able to use it as soon as it launched its brand. But Comfor, which in 1998 purchased Oskar s.r.o. and with it the disputed domain name, took a different stance. In a statement to the Czech Press Agency in 2000, its then-director Petr Bříza stated that he was negotiating with Český Mobil, but that the operator declined the offers he had submitted, which included a guarantee of business contracts during the construction of the IT infrastructure. Comfor, a computer company, then began using the oskar.cz domain for selling mobile phones and accessories, and in the ensuing tug-of-war demanded CZK 10 million for it. In the meantime, the operator used the oskarmobil.cz domain for its presentation, but it had no intention of giving up the web address. “The www.oskarmobil.cz address was well established, but we wanted to prevent a situation where someone else owned the www.oskar.cz domain,” explains Igor Přerovský, Český Mobil’s spokesman and vice-president for brand and communications. So Český Mobil decided to take the entire matter to court, lodging a complaint against Comfor for the manner in which it used the Oskar brand on its web site. But before the case could be decided, a bilateral agreement was reached and the entire matter was settled out of court. In April of this year Český Mobil became the owner of the oskar.cz domain under conditions that were not specified in greater detail. What does a trademark protect?Pilsner beer was the very first product to be trademarked in this country – by an imperial patent as “Pilsner Bier” in 1858. Today trademarks are registered with the Industrial Property Office (ÚPV). Following registration, the trademark holder has the exclusive right to use it in the designated region and area of business. The basic administrative fee is CZK 4,000 for three classes of goods or services, according to patent attorney Dana Lukajová of the the law and patent offices Vyskočil, Kršlák and Co. The protection is good for ten years, and it can be extended for another ten (each additional class costs CZK 500). To register a trademark in Europe, including the UK, Lukajová estimates the registration price at about 2,300 Swiss francs. The holder of a registered trademark may denote this with the internationally recognized small R in a small circle, but protection is not contingent upon it. The TM designation is recognized only in the US. According to Zuzana de Korver, head of the adversarial proceedings department at ÚPV, it is possible to contest the unjustified application of a trademark either during or after the registration period. “Three months after the publication of a proposal it is possible to submit a so-called objection against the registration of a trademark, prior to its registration,” de Korver says. But this requires regular monitoring of the ÚPV bulletin, where all trademark applications are published under conditions given by the law. If the registration of an improperly used trademark has already taken place, the justified person can demand that it be canceled. De Korver notes that each year for every 10,000 trademark registration applications in the Czech Republic, about 1,000 justified subjects object, and there are about 200 cancellation demands. To whom does Prim belong? When former state enterprises were broken up during privatization, the trademarks of major products were often overlooked. Today the courts are resolving disputes among private firms that were subsequently established. Such is the fate of the Czech watchmaker Prim. Chronotechna registered the Prim trademark for its timepieces in the 1950s, in the Czech town of Šternberk. In 1969 the Elton plant in Nové Město nad Metují was entitled to manufacture wrist watches under the same trademark. After 1989 the firms were separated during privatization, resulting in two independent subjects ?- the joint-stock Eutech as the successor of Chronotechna, and Elton hodinářská, a.s. When in the mid-90s Elton hodinářská wanted to register the Prim trademark for its wrist watches, the Industrial Ownership Office (ÚPV) did not permit it, as there was already a registration in that name. It belonged to Eutech, which had taken over all Chronotechna trademarks. “We settled to our own benefit with Eutech, and we agreed on acquisition of the license for 99 years for a symbolic fee of CZK 99,” says Jiří Helikar, chairman of the board of Elton hodinářská. Sanctions for failure to adhere to the contract was agreed at CZK 10 million. But Eutech, which has seven trademarks using the word “Prim” registered with ÚPV, provided licensing rights for one of them to Hanhart Trade, which imports watches and clocks into the Czech Republic. This resulted in a dispute between Eutech and Elton, which led to a contract on the sale of the trademark for CZK 10 million. But Elton eradicated this debt by clearing the sanction for the failure to adhere to the earlier contract. Eutech did not recognize the transaction. “Eutech did not breach the contract, so Elton has no claim for the payment of the sanction,” insists Clarence Vítámvás, head of Eutech’s legal department. The company withdrew from the contract and sold the trademark to another firm, MPM-Quality. Elton hodinářská is dissatisfied with this development, because it believes that the law is on its side. “We can prove that we have been the trademark for wrist watches uninterruptedly since 1969,” Helikar says. But the ÚPV register sides with Eutech. Since 2000 many court cases on several levels have been ongoing between the two firms, who claim their costs have already reached a million crowns. Elton estimates its indirect damages at CZK 10-15 million.